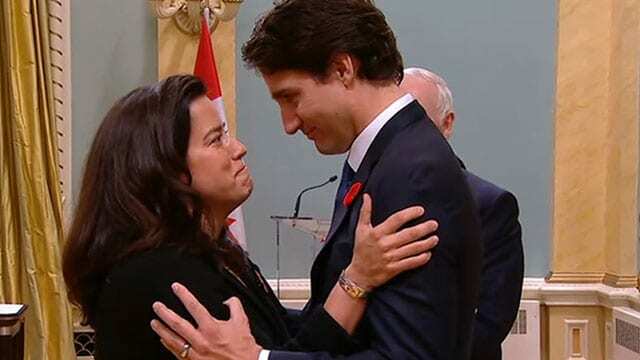 Former Justice Minister and Attorney General Jody Wilson-Raybould and Prime Minister Justin Trudeau, pictured here in 2015, are at the centre of an unfolding controversy surrounding allegations of political interference. A government watchdog is calling on the federal ethics commissioner to delegate an inquiry into the Prime Minister’s Office (PMO) after allegations surfaced Thursday of political interference by the PMO in a matter under the authority of Canada’s former Attorney General Jody Wilson-Raybould. Democracy Watch says the allegations warrant an official investigation. But the Ottawa-based group says Canada’s Conflict of Interest and Ethics Commissioner, Mario Dion, should not lead the inquiry. The commissioner “should not be ruling on any situations involving Liberals as he was hand-picked by the Trudeau Cabinet through a secretive, very questionable process,” Democracy Watch co-founder and University of Ottawa law professor Duff Conacher said in a statement Friday morning. Instead, Dion should “delegate the investigation to a provincial ethics commissioner,” Conacher wrote. The call comes just 24 hours after the Globe and Mail published allegations by an unnamed source that Wilson-Raybould—of the We Wai Kai Nation and Canada’s first Indigenous justice minister and AG—“blew off the PMO” after Trudeau’s office allegedly pressured Wilson-Raybould to intervene in the Public Prosecution Service of Canada’s handling of Montreal-based engineering giant SNC-Lavalin’s fraud and corruption charges stemming from the company’s work in Libya. “It is a violation for anyone covered by the federal Conflict of Interest Act, including the Prime Minister and PMO staff, to ‘use his or her position as a public office holder to seek to influence a decision of another person so as to… improperly further another person’s private interests,’” the Democracy Watch statement reads, citing Section 9 of the federal Act. “If anyone in the PMO tried to pressure the Attorney General to intervene and stop the prosecution of SNC-Lavalin, they violated the federal ethics law, and so a full, independent investigation is needed,” Conacher said in the statement. According to the federal lobbyist registry, SNC-Lavalin representatives have met with MPs and government officials dozens of times on issues related to “justice” and “law enforcement”, including 14 with PMO staff. If either of these were true, they would violate Section 8 and Section 7 of the Conflict of Interest Act, Conacher explained. Conacher told APTN News Friday that Dion “can delegate authority” to a provincial commission, and that the transfer of authority has been done in provinces like Alberta, where that province’s ethics commissioner, Margeurite Trussler, recused herself from investigating a complaint because she personally knew individuals she would have to investigate. 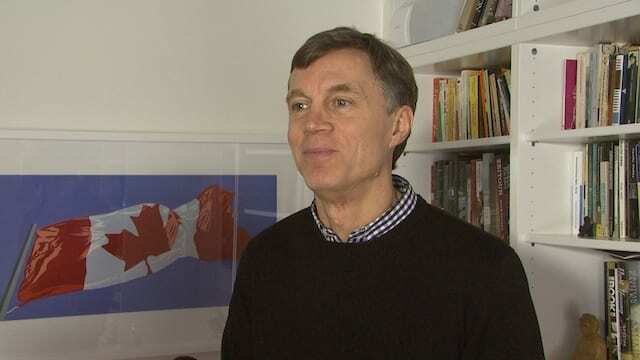 Democracy Watch co-founder Duff Conacher says an investigation from the federal ethics commissioner only requires Dion to have “reasonable belief that there’s been a violation based on the evidence presented.” APTN photo. In its letter to Dion, Democracy Watch asked the commissioner to step aside and delegate the inquiry to a provincial authority. 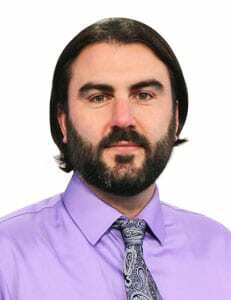 “If we disagreed with his ruling and wanted to challenge it in court, it puts us in a better position if we asked him to step aside in advance as opposed to after the fact complaining about him not stepping aside,” Conacher explained. The group has previously argued in court that Dion’s appoint was unethical, “because the Office of the Ethics Commissioner was investigating Trudeau and other cabinet ministers at the time they hand-picked Dion through a secretive process,” Conacher said, explaining Democracy Watch is currently challenging a federal court ruling on the matter. On Thursday Trudeau repeatedly denied his office “directed” Wilson-Raybould on the SNC file. But the allegations published by the Globe never specified “direction” from the PMO, only that Wilson-Raybould “came under heavy pressure” from Trudeau’s office. “Trudeau didn’t deny that there was influence, yesterday,” Conacher told APTN. “All you have to do is attempt to influence someone. That’s all you need to violate section 9 [of the Act]. Instead of denying the allegations, Wilson-Raybould told the Globe she would not discuss the matter. Conacher wonders why, if the allegations are false, Wilson-Raybould didn’t just say they were false. He said Wilson-Raybould’s response that she can’t comment because it would constitute sharing “legal advice between me and the government” doesn’t hold up in this instance. Following her move from the justice and attorney general portfolio to veteran’s affairs last month, Wilson-Raybould penned a lengthy statement on her webpage. In it she said that “the role of the Attorney General of Canada carries with it unique responsibilities to uphold the rule of law and the administration of justice, and as such demands a measure of principled independence. “It is a pillar of our democracy that our system of justice be free from even the perception of political interference and uphold the highest levels of public confidence,” she continued. APTN requested comment from Dion on Democracy Watch’s call for a delegated inquiry into the allegations but had not received a response by the time of publication. Also on Friday, Conservative leader Andrew Scheer announced his party and the NDP are jointly calling for a committee investigation into the allegations. The opposition parties have “called for an emergency meeting of the Standing Committee on Justice and Human Rights to question Trudeau’s PMO and other government officials over their potential interference in an ongoing criminal prosecution,” Scheer said in a written statement. The committee would invite as witnesses Wilson-Raybould, current Justice Minister and AG David Lametti, Trudeau’s Chief of Staff Katie Telford, Director of Public Prosecutions Kathleen Roussel, Privy Council Clerk Michael Wernick, Trudeau’s Principle Secretary Gerald Butts, senior PMO advisors Mathieu Bouchard and Elder Marques, and Veteran Affairs Chief of Staff Jessica Prince. The committee would report to the House of Commons “no later than February 28, 2019,” Scheer’s statement said. The NDP are also calling for an investigation by the ethics commissioner.